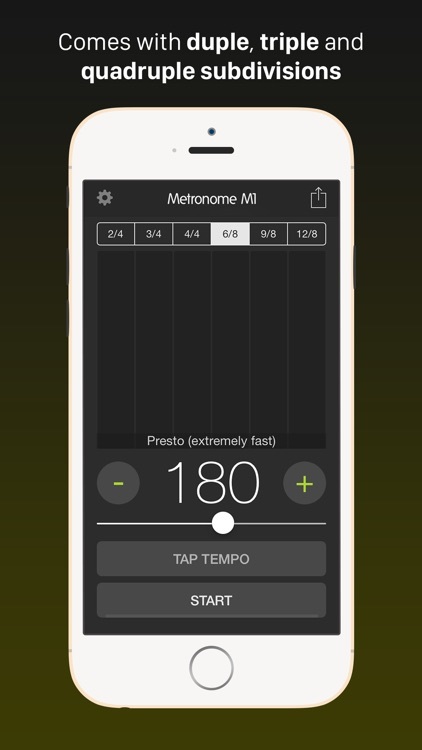 Metronome M1 supports a wide tempo range between 10-300 BPM, ranging from Grave to Prestissimo covering all popular styles including Lento, Largo, Adagio, Andante, Moderato, Allegro, Vivace and Presto. 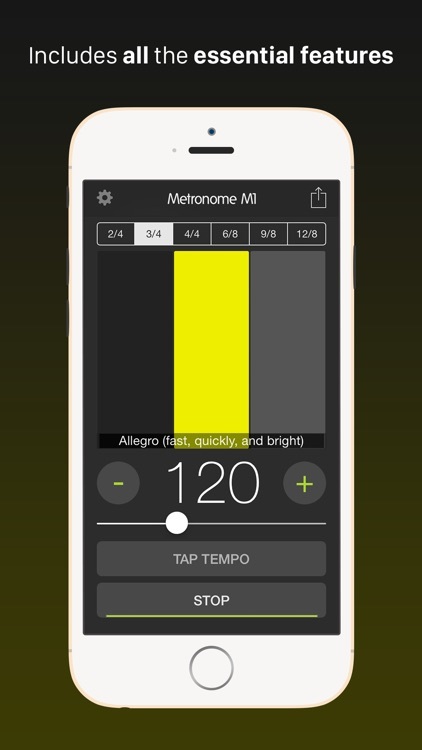 The "Tap Tempo" feature lets you quickly set your desired tempo with the ease of tapping a button. 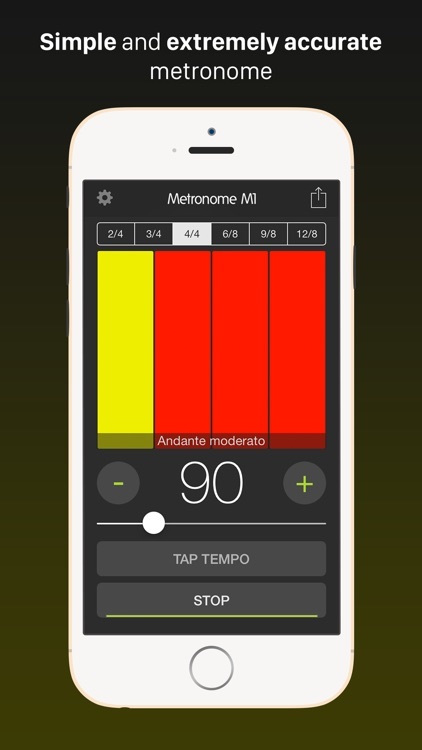 Metronome M1 supports the following common Time Signatures. - 2/4 (duple): Commonly used for polkas or marches. - 3/4 (triple): Used widely for waltzes, minuets, scherzi, country & western ballads, R&B. Also occasionally used in pop. - 4/4 (quadruple): Also known as common time, this is used widely in most forms of Western popular music. 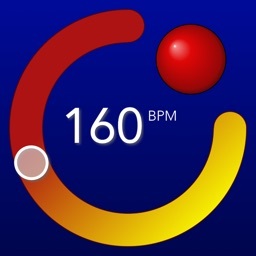 It is also the most common time signature in rock, blues, country, funk, and pop. Most students start practicing with this time signature. - 6/8 (duple): This compound time signature is used in double jigs, polkas, sega, salegy, tarantella, marches, barcarolles, Irish jigs, loures, and some rock music. 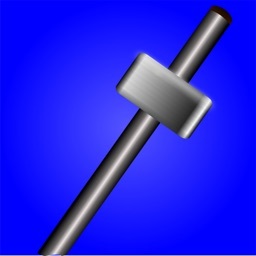 - 9/8 (triple): Also known as compound triple time, this is used in triple jigs. - 12/8 (quadruple): Commonly used in slower blues (where it is called a shuffle) and doo-wop; also used more recently in rock music. 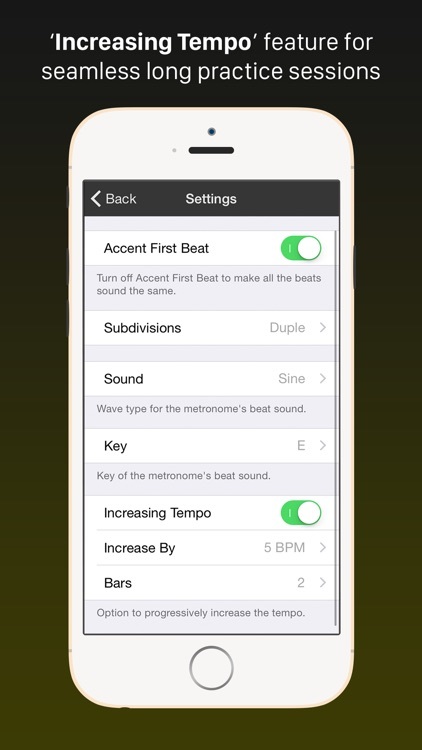 With the latest update, you can now set any time signature you want. You also have the ability to set any of these note values for the tempo marking - Quarter note, Dotted quarter note, Half note, Dotted half note, Eighth note. 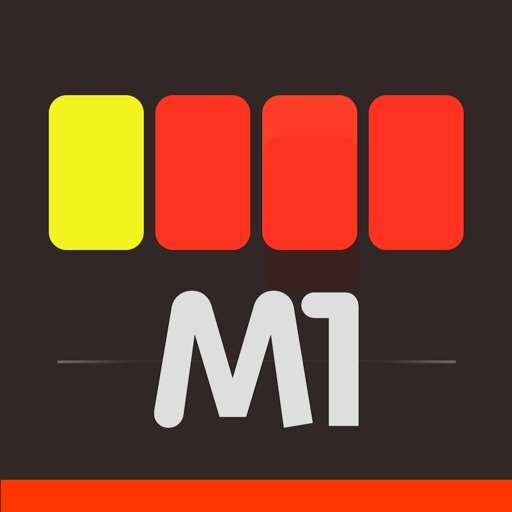 Now you no longer have to give an excuse for practicing without a metronome as you can have the free Metronome M1 app on your mobile device all the time. 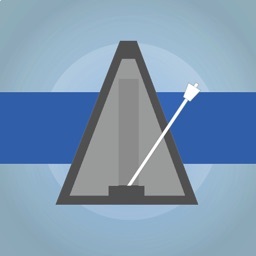 Make metronome your best friend and always practice with it. 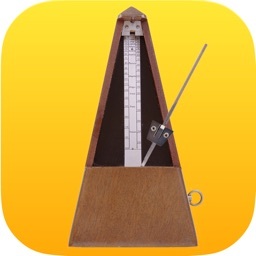 Moreover, practicing with metronome is proven to improve your aural skills. 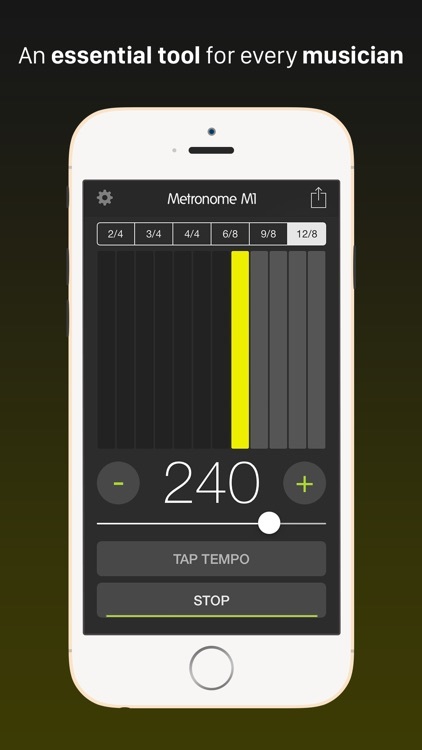 Download Metronome M1 for free today!